I have a theory. 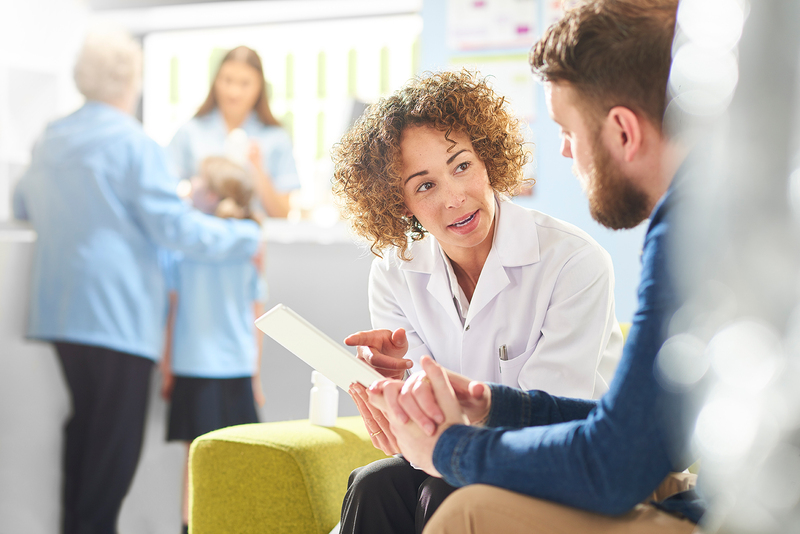 There is a simple thing hospitalists can do that can enhance relationships with our patients, and even, I bet, improve patient satisfaction scores. The catch is it is not something you can do for yourself; you can only “pay it forward” for somebody else. We know patients who trust their physicians are more likely to follow recommendations, and that trust and confidence in physicians probably leads to higher satisfaction scores. According to data from Tom Lee, Chief Medical Officer at Press Ganey, “confidence in provider” is the key differentiator between those who say they would recommend their physician from those who do not. As hospitalists, it is not easy for patients to develop trust and confidence when you are meeting them in the hospital for the first time, often during a crisis in their lives when they are most vulnerable. But what if before you entered the room, somebody else helped you establish credibility? That’s it. Did you catch it? By saying something positive about the physician coming on, it is more likely that the patient will have an initial positive bias. After all, rather than on Monday morning simply having a new physician surprisingly show up in their room – something that likely leads to some sense of uncertainty and concern, and must erode trust tremendously – the patient is now expecting a “really great doctor” who others trust. That doctor is set up for success. You have just gifted her with some degree of trustworthiness. Now it is up to her to convert that trustworthiness into actual trust through what she does with and for that patient – a task much easier than when one starts out in a trust deficit by showing up unannounced. This is not just a crazy idea that I have had on my own. During the ABIM Foundation Forum, which focused on “[Re]Building Trust,” Greg Poulsen from Intermountain Healthcare said that this practice seems to have worked in an emergency department. When they couldn’t figure out why one emergency department in the system had significantly higher patient satisfaction scores, they asked what was different and found out that the staff there had been asked to say one nice thing about the physician who was going to see the patient. Importantly, this needs to be authentic. If you are simply saying something that you do not believe, that will not result in better trust, in fact it is likely to undermine it. If reality does not meet expectations, it can be frustrating. However, I am sure you can think of something nice to say about each of your colleagues. He’s a good listener. She really pays attention to details. He trained at Harvard and is incredibly well-trained. Whatever it is. Think of something, and – if you can be genuine about it and mean it – say it. I have started doing this same thing for our residents in real-time, telling the patient what a good physician Dr. so-and-so is and how carefully they are looking over their care. “You are in good hands.” I believe that statement, when said authentically, is therapeutic for patients. It has the potential to defray – at least a bit – the stress and worry that often accompanies hospitalization. It is a simple gift you can give your colleagues and patients. Will it work? Will a positive comment just lead to a one-day sugar high? Can trust truly be passed forward? I don’t know yet, but let’s find out. I’m gonna give it a go. I hope that my colleagues will trust me and pay it forward. What a terrific blog post, Chris. You have suggested something both easy and practical that every single provider can do build trust and improve patients’ perceptions of their hospital experience. I’m willing to bet that it can have collateral benefits as well, such as building cameraderie among the provider team. Saying positive things about others you work with can even influence your own attitude and joy in work. My colleague Dr. John Nelson has long advocated that hospitalist groups develop methods for assigning patients admitted overnight to a specific daytime provider at the time of admission (rather than waiting to divide up the patient list the next morning). Not only can this improve overall group efficiency and help nurses know who to call early in the morning, but it gives the nighttime admitter a wonderful opportunity to “manage up” by telling the patient/family something positive about the doctor who will be assuming responsibility for their care in the morning. When the newly admitted patient asks, “will I see you tomorrow?” instead of just saying “one of our team of doctors take over your care tomorrow” you can say “I’m just caring for our group’s patients overnight; tomorrow I will be sleeping. But starting in the morning, Dr. Messler will be your doctor. He’s a terrific doctor who cares deeply about patient safety and quality improvement, and is a leader within our medical society on these issues. He just got back from a family vacation in Italy and has some great stories to tell. You should ask him about it!” Imagine how much better that patient and family will feel about the fact that they will be getting a new doctor in the morning. Thanks for your insights about “paying it forward”, Chris. This is a practice that is definitely worth investing in. Might skip the vacation in Italy part…my social worker points out that not all patients vacation in Europe! Excellent post. So true. We can do a much better job managing up. Should be doing this with our nurses, our ER colleagues, etc. These are the ways our hospital can feel more like a community hospital, and preempt the notion that patients feel we are not communicating well with each other. Terrific example, Leslie. I’d want to follow that doctor!